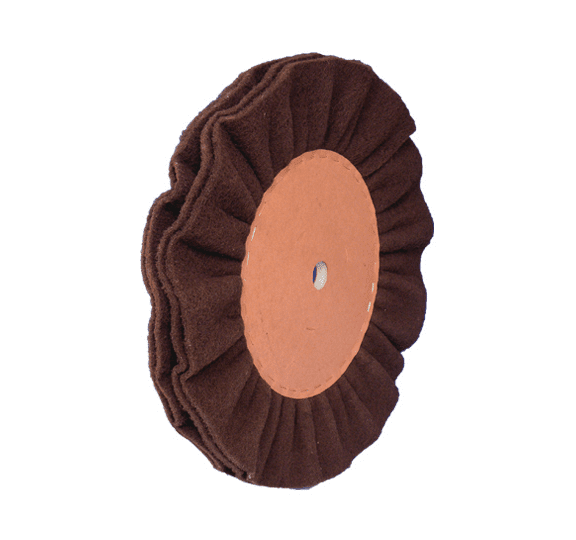 Abrasive fleece in 45° bevel cut in open cooling fold with four or six layers and densities. The result is both a firm, aggressive and soft, flexible fill for all materials. Non-woven grinding rings are highly elastic tools and therefore have optimum adaptability to the workpiece to be machined. The air-cooled non-woven grinding ring also allows strong contact pressure and high speed without heating and/or burning. The non-woven abrasive rings can be used individually or as a roller by stringing together several individual non-woven abrasive rings. The widths of the non-woven grinding rings can be adjusted as required. For grinding and matting/satin finishing of all workpieces/materials on automatic grinding and polishing machines and/or for manual processing on the polishing stand. Mainly machined materials are steel, aluminium, non-ferrous broadband material and plastics.